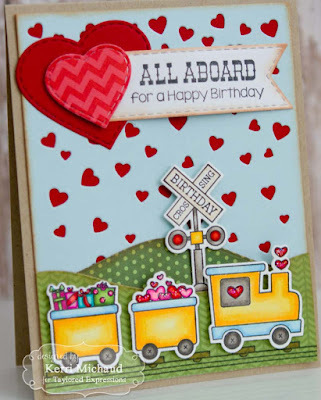 TE Sneak Peeks: All Aboard for a Happy Birthday! Hello! It's Day 3 of Sneak Peeks from Taylored Expressions, and all of the new products will be available tomorrow at 7 AM PDT in the TE Store! 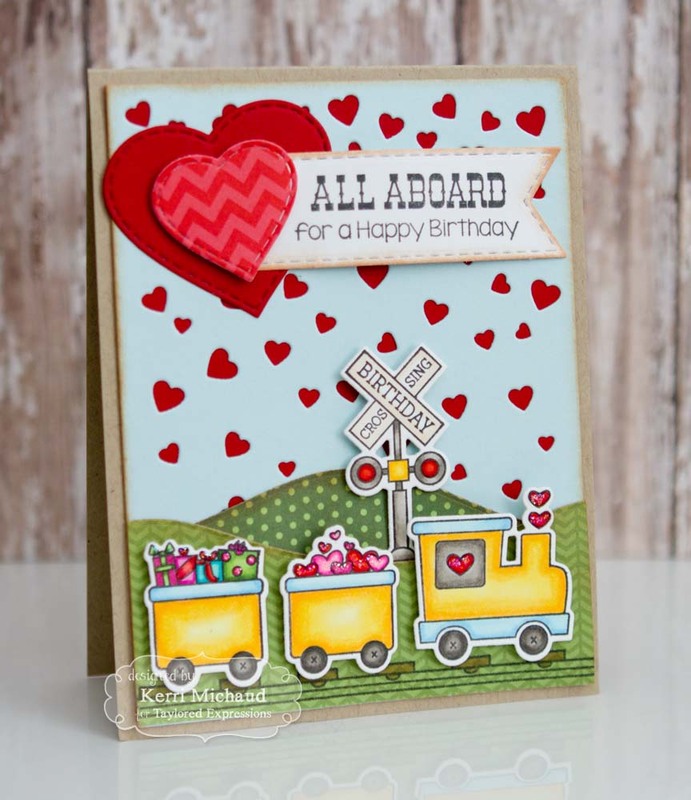 I have a couple more projects to share today, and first up is this super fun and adorable card featuring the new Falling Hearts Cutting Plate along with the Love Train Stamp Set. 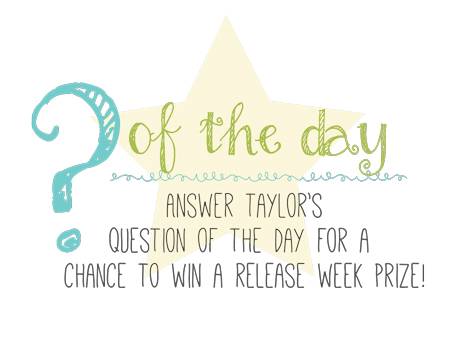 I started by using the Falling Hearts Cutting Plate to cut a piece of Salt Water Taffy cs. I then layered that over a piece of Cherry Pop cs. I created the hills using the Build a Scene Rolling Hills Dies and some dp from the Build a Scene 6x6 Paper Pack. 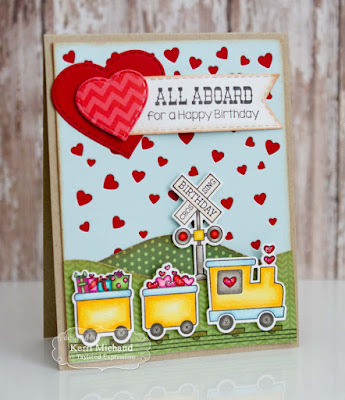 I stamped the train images using Oreo Ink and colored with Copic markers. I cut them out with the coordinating Love Train Dies and popped them up with foam tape over the track that was stamped directly on the dp. I also added the darling birthday crossing sign and then finished it off with a couple hearts cut with the Stitched Heart Stacklets Dies and a sentiment from the Love Train set cut with a Stitched Banner Stacklets Die. 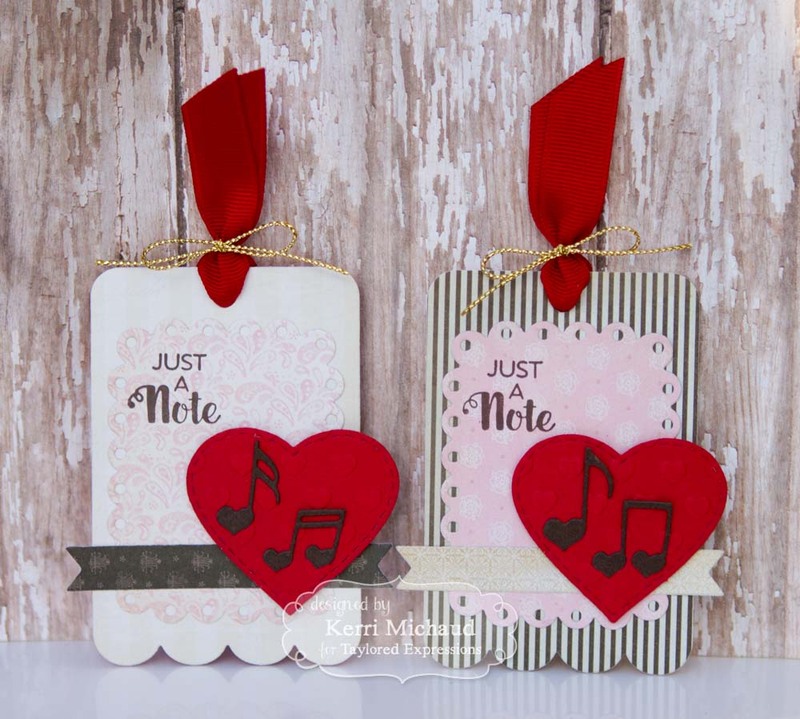 I started by cutting the bases of my tags using the Build a Tag 3 Dies. 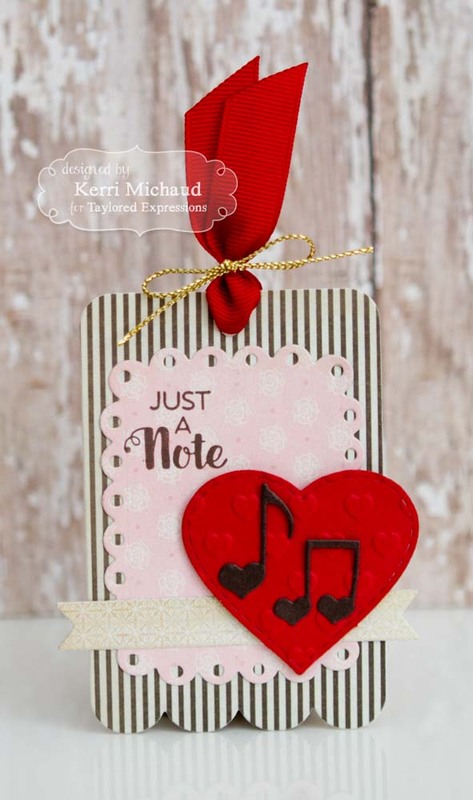 I cut the hearts using a Stitched Heart Stacklet Die and embossed with the Swiss Hearts Embossing Folder. 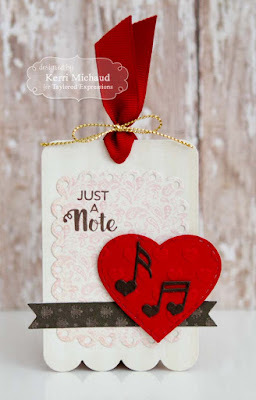 I adhered the music notes cut with the Little Bits Love Notes Dies and then popped the hearts up on my tag with foam tape. I stamped a sentiment from the new The Birds and the Bees Stamp Set directly onto the tag using Chocolate Truffle Ink and added the ribbon and Metallic Gold Twine to finish it off.